While you're here, enjoy some superb food from our international chefs in the Cloonkeelane Restaurant. We have great bar food for you too. And when you're ready to go exploring, you couldn't have picked a better base. 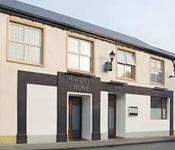 At Murphy's Hotel, in the heart of South Sligo, there's all of the beauty and culture of the West of Ireland close by. 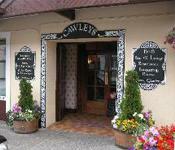 Cawleys Hotel offers guests a choice of 14 ensuite bedrooms (standard or superior rooms) and a separate Suite annex. We pride ourselves on being a family friendly guesthouse while also catering to the business client with free WIFI enabled in selected bedrooms. We offer a wide selection of freshly cooked breakfast, lunch and dinner in our restaurant and by request can provide a delicious picnic for your day trip exploring the Northwest or for your activity holiday. 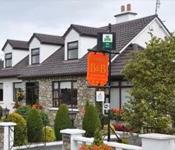 Rockville Bed and Breakfast accommodation is an award-winning 3 star modern bungalow with a beautiful landscaped garden, situated just 0.5km from Tubbercurry Town on the Charlestown Rd (N17). Finished and maintained to the highest standard, with bedrooms on the ground floor, Rockville B&B is set in a quiet location at the foot of the Ox Mountains, yet it is central to all the local amenities. 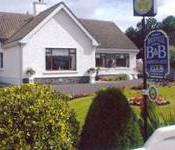 Eden Villa B&B is a traditional, charming, relaxing bed and breakfast accommodation in Tubbercurry, County Sligo - a beautiful and unspoilt region of south Sligo, Ireland. Whether you are on a whistle stop tour of the country or a relaxing overnight break we can assure a thoroughly enjoyable stay in our family home. A warm welcome awaits you with our complimentary tray of tea/coffee and homebaking at Eden Villa. We are located approximately 5 minutes walk from Tubbercurry town on the main Ballina road, being situated on the R294 – just off the N 17 (Sligo-Galway road). 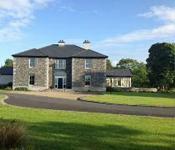 Coill Dara House is a beautiful modern, period style home of character, located on a small farm on the edge of Tubbercurry (Tobercurry), Co.Sligo. Depending on seasons, you can meet sheep, lambs and donkeys in fields around the house. Located just off the R294 (Tubbercurry-Ballina Road) and N17 (Sligo-Galway), 12 miles from Knock Airport, Tubbercurry is very accessible and an ideal centre for exploring Counties Sligo and Mayo.